All this talk gave us an idea for a new weekly column. I’m excited to announce “At the Libraries” will be launching later this month. Miss Kathleen, a children’s librarian who moonlights as one of our researchers, will be our curator, rounding up five* fascinating things happening at libraries around the country that week. And we want you guys to leave comments under her posts plugging any cool library happenings in your necks of the woods. So now you all know! I expect to hear a lot about libraries in Iowa and Illinois (I’m also looking at you Abby – seriously, I’m looking in what I think is the direction of Illinois), since we all know that that’s where the most amazing librarians are located at this moment. 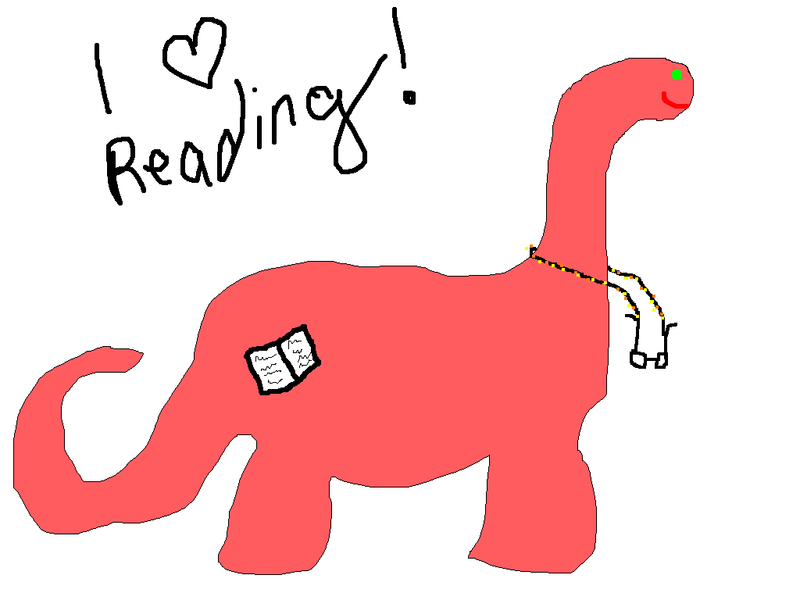 Just a typical dino librarian. Note the sweet book tattoo and reading glasses. P.S. Tuesday’s missing blog made up for! Now Wednesday and Thursday to go! Be prepared to learn something soon! I never knew that I knew where East Timor was. cool. THE GEOGRAPHY CHALLENGE!!!!! Do you know where Belarus is? or Tonga? or East Timor (I actually just got that one right so I’m feeling super smart even though I totally guessed…)? I average about 20-30% accuracy on this one. But it inspires me to REALLY REALLY WANT A GLOBAL PUZZLE. I totally bought one of these for a White Elephant Christmas present and then we had to leave early so I never saw how the person who chose it reacted...but I'll bet they were SUPER excited...and I will I admit that it crossed my mind to pull a Kevin on it. I think I will try the Presidents quiz tomorrow because I think it has been awhile and I have forgotten my horrible score… I currently have Yo, Millard Fillmore checked out from the library (a check-out fueled by nostalgia, so I will probably post about it later in BEDA) so I might actually do okay. Oh. My. Gosh. Hilarity Ensues. I know that you all are probably way upset still about the whole Half Blood Prince being delayed till 2009 catastrophe like me. I found this link off of mental floss (check it out, I love that site! ), watched it and almost fell off the couch I was laughing so hard. I know that Hitler is bad and evil and terrible…but…I can’t help but laugh. Hopefully none of you are offended. So I was perusing mentalfloss.com this morning (great site, you should all go there and/or read the magazine), and I clicked on one of their morning cup o’ links sites. It led me to a video of 2 guys who see something they shouldn’t using Google Moon. Then I clicked on over to their youtube site and found that there was a series of videos called The Googling. I have posted them below for your viewing pleasure. I found them exceptionally hilarious. Enjoy!